The Eurogroup has approved a deal on a €10 billion bailout for Cyprus, struck early Monday in Brussels. Cyprus avoids exiting the eurozone, but will have its second largest bank closed with heavy losses expected for big depositors. “With this agreement we’ve put an end to the uncertainty that has affected Cyprus and the euro area over the last few days,” he added. 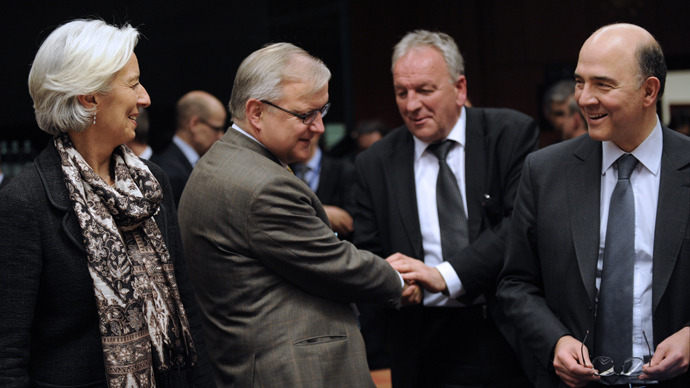 The European Stability Mechanism (ESM)'s Klaus Regling says Cyprus should receive the first tranche of money from the eurozone at the beginning of May. Deposits below €100,000 will be shifted from Laiki to the Bank of Cyprus to create a “good bank.” Deposits larger than €100,000, which are not guaranteed under EU law, will be frozen and used to resolve debts. Customers could lose up to 40 percent of their savings in exchange for shares. 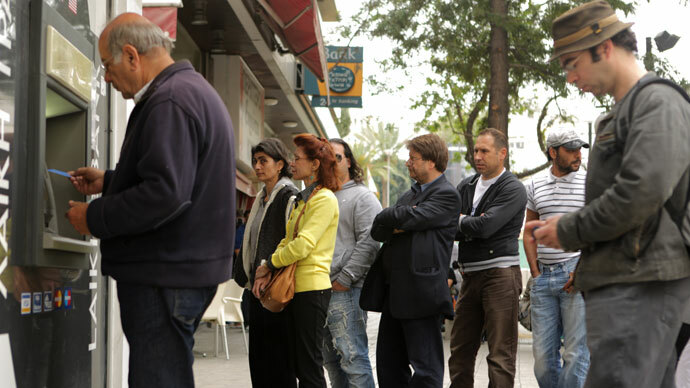 According to Dijsselbloem, the raid on uninsured Laiki depositors is expected to raise €4.2 billion. He stressed that there will be no levy or tax imposed on all deposits in Cypriot banks, and small account holders will have their savings secured. However, the closure of Laiki means that thousands of people will lose their jobs and senior bondholders and uninsured depositors will suffer severe losses. Officials said senior bondholders in Laiki would be 'wiped out', according to Reuters. If the bailout deal hadn’t been sealed by Monday night, Cyprus could have faced bankruptcy, meaning there was a possibility that it would have become the first country to abandon the euro. Earlier on Sunday the central bank in Cyprus has imposed an ATM withdrawal limit of €100 per day for the island's two biggest banks, in order to prevent a run on lenders. The euro witnessed a sharp rise in share prices in the Far East; in Tokyo afternoon trade on Monday, it fetched $1.3038 and 123.61 yen. On Friday, it was fetching only $1.2986 and 122.72 yen.